Selling online since 2000. Custom dyed pure cashmere pashmina scarves, shawls, wrap, stole or throw blanket in any color, with or w/o tassels and name embroidery. 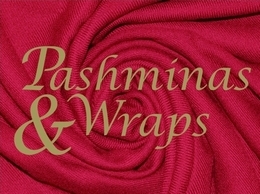 Discount on wholesale and wedding pashmina. Free Shipping. Money-back Warranty. 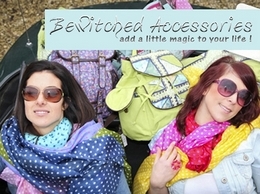 Bewitched Accessories is a small, independent company selling beautiful designed scarves and bags. They've become well-known for occasion accessories by offering a selection of matching scarves and bags. OYUNA - Shop Cashmere Constructions. To Live In. Fine accessories and gifts both menswear and womenswear. Silk scarves, pocket squares, neckerchiefs and pochettes designed and made in the UK. Bold contemporary design. Luxury scarves and shawls, handmade from the best natural fibres. 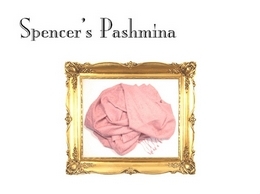 Real A-grade pashmina shawls, cashmere, alpaca and the softest silk scarves. Scarves from baby-mohair, pure yak woollen shawls. Fair trade, alle profit goes to the artisans. Online store with scarves and shawls in silk, cotton, chiffon, pashmina fabrics. Elizabetta Online Boutique is a unique shop that sells scarves, shawls and wraps that are designed and made in Italy. Elizabetta hand selects every item in the store from the latest fashion designs, directly from the manufacturer. This keeps prices low as there are no middlemen. Most items are made from natural fibers, silk, wool and cashmere. Both women’s and men’s styles, formal and casual. Ladies accessories designed and handmade by Irish Designer and Artist Alison McCann. The collection is contemporary, bohemian and classic, using exquisite velvets, tweeds and cashmere. Website also showcases original artworks for purchase. Pollyscloset | Wide range of illustrations suitable for girls. Stunning silk evening wraps/bags/stoles/capes & more to enhance any special outfit, the easy way! Free p & p on all orders.